Voice search has made huge strides in recent years, making it easier and faster for users to search the web for the information and content they crave. 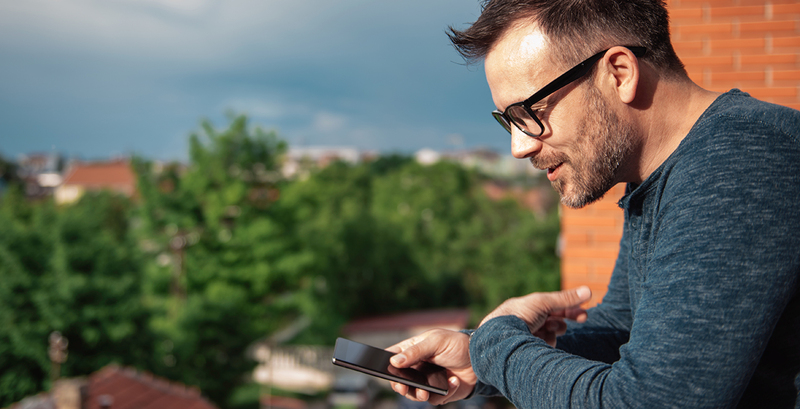 Its presence in the daily lives of consumers is poised to grow even further as voice search tools improve, which is why many businesses are incorporating voice search optimization into their local SEO strategies. In order to maximize the visibility of your website in 2018 and beyond, it’s critical to understand how this burgeoning technology affects your current SEO efforts—and the changes you’ll need to implement to keep pace. That’s where your friends at Snap factor in. You see, we’ve been developing leading-edge SEO strategies for decades. Our mission is to provide all of the resources and support your business needs to thrive in the wild and exciting world of digital marketing. So today, let’s take a few minutes to discuss the rise of voice search and how you can leverage this shift in the SEO landscape to draw in new business opportunities. Is Voice Search a Passing Trend? 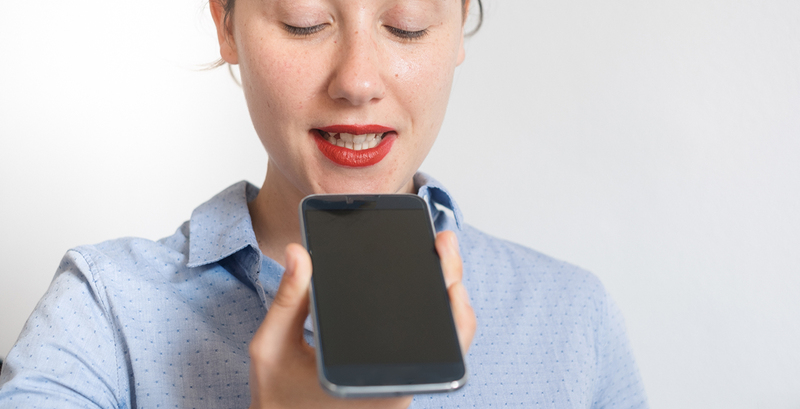 It’s no secret that voice search tools are gaining traction among consumers. The number of homes with Echo and Google Home speakers is steadily rising, with Amazon’s Echo Dot being the most popular item sold on its online marketplace during last year’s holiday season. And thanks to tools like Cortana, Siri and Google Assistant, almost any smartphone user can utilize voice search at any time. It’s also easy to see why voice search is so appealing to modern customers. After all, it’s incredibly convenient to ask your device a direct question and receive a concise answer, especially compared to scanning through text after typing out every single character of your query. But the big question remains: Is voice search just a novel functionality that’ll circulate out over time? Some organizations are hesitant about expanding their local SEO initiatives to account for voice search tools, convinced that the technology is just a fad that’s bound to pass. But according to industry experts, voice search is here to stay. In fact, ComScore predicts that 50% of all online searches will be voice searches by 2020. Suffice to say, optimizing your website for voice search has never been more important than it is today. So then, which ranking factors do you need to prioritize for voice search results to improve your local SEO results? These are just a few of the main ranking factors you’ll need to keep an eye on to optimize your site for voice search, but they should give you a great foundation to build your new local SEO strategies in 2018. If you’ve been looking into voice search, you probably already understand the importance of featured snippets. Considering the fact that over 40% of voice search answers stem from a featured snippet, owning this elusive spot in search results should be one of your top priorities. And while there’s no way to guarantee ownership of featured snippets for searches, there are a few tactics you can use to up your chances. Generally speaking, short answers to specific queries are chosen as featured snippets. Your best bet is to ask a simple question in an H2 and provide a short answer in the copy below. According to WordStream, the speed of your mobile website can play a huge role in its voice search ranking. Because a large portion of voice searches come from mobile users who are on the move and seeking fast answers, voice search tools prioritize sites with extremely fast load speeds. Thankfully, there are a number of strategies you can capitalize on to optimize your website for speed. A lightning-fast site will also provide potential customers with a better user experience, increasing their likelihood to invest in your products or services. Sounds like a win-win to us. According to Backlinko, authoritative domains yield significantly higher results in voice searches. There are several digital marketing tactics you can use to boost the domain authority of your site. For example, content marketing can help your team develop and publish top-quality content regularly, which will help you earn quality links from multiple domains. SEO specialists can also aid you in optimizing your internal linking structure, making it easier for search engines to index your website. Now that we have a better understanding of how your business can use the rise of voice search to its advantage via local SEO, let’s talk about how voice recognition might evolve in the near future. Voice search is just one important application of this promising technology. 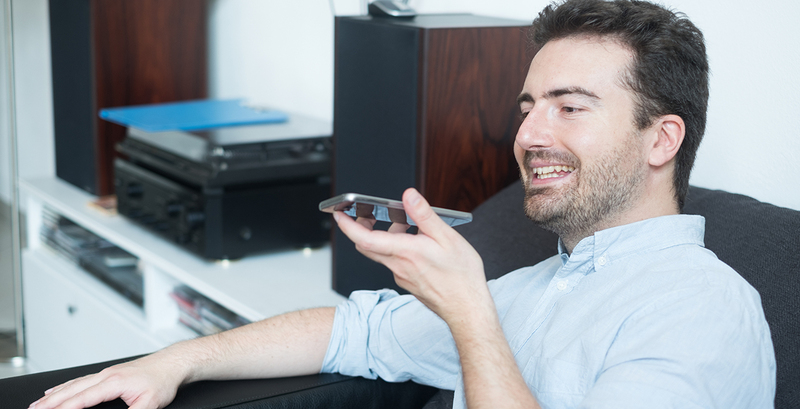 Some experts predict that all smart devices will eventually become interconnected through voice search, allowing users to seamlessly engage with their smart TVs, smartphones, home speakers and more with a few simple voice commands. It’s also likely that companies will adopt and integrate voice search into additional aspects of their technology, leading to faster and more streamlined business operations. In time, smartphone users will be capable of using refined voice recognition to call specific contacts or send emails in a matter of seconds. In any case, the future of voice recognition is looking brighter than ever. Are you interested in tailoring your site for voice search? Then be sure to call or message us today. Our SEO pros can optimize your website for rich snippet search results and develop a long-tail keyword targeting strategy that positions your enterprise for long-term success. You can also reach out to us if you want more information on SEO voice search and additional steps you can take to adapt and thrive in the new age of voice search. We look forward to working with you.